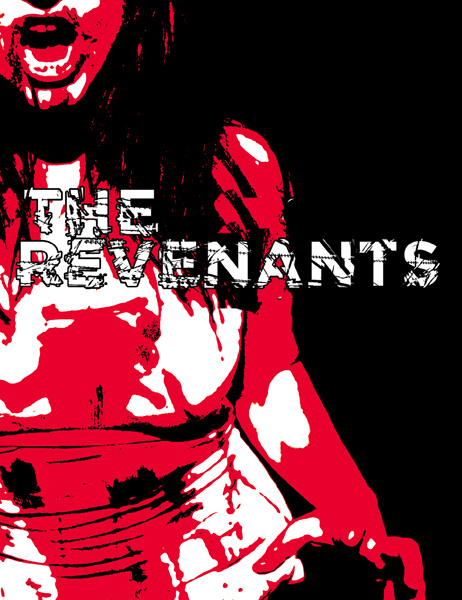 THE REVENANTS will play on Friday and Saturday evenings at 8 pm from February 11 through March 19, 2011 at the Whitmore-Lindley Theatre Center, 11006 Magnolia Blvd., North Hollywood, CA. Visceral Company co-founder and artistic director Dan Spurgeon directs this production of THE REVENANTS. Previous productions in New York, Chicago and Pittsburgh garnered positive reviews; a film version of the play is currently in development. THE REVENANTS features Carl Bradley Anderson* as Gary; Anne Westcott as Karen; Lara Fisher as Molly (Gary’s wife); and Rafael Zubizarreta, Jr. as Joe (Karen’s husband). A chilling audio program immediately before curtain, written by John Santo and Dan Spurgeon and edited by Ross Patel, catapults the audience into the horrific world of THE REVENANTS. Sets by Christine Bartsch and lighting by Dave Sousa evoke the dark, cluttered basement where the two couples seek refuge as the world collapses around them. Justin and Melissa Meyer of Where’s My Head F/X, the special effects team behind the successful LA Haunted Hayride attraction, created the horror make-up and special effects that graphically depict Molly and Joe’s transformation into flesh-eating zombies as THE REVENANTS progresses to its shocking and violent climax. Tickets for THE REVENANTS are $20 in advance and $25 at the door. Advance tickets may be purchased at www.thevisceralcompany.com. Please note that this play contains scenes of graphic horror violence and is recommended for mature audiences. The Visceral Company is a new LA-based theatre company dedicated to works that explore the dark, strange and macabre. We hope to encourage further onstage exploration of the horror, thriller and science fiction genres, which have been underrepresented in theatre, and to build an appreciation of theatre in the younger audiences that are traditionally drawn to them. * Member, Actors’ Equity Association; this production is presented under the AEA Los Angeles 99-Seat Theatre Plan. Previous Azure Lorica presents Journey Seekers: A Steampunk Adventure!